A cold sore, or fever blister, is a type of lesion that appears around the mouth, cheeks and nose. It is usually identified as a cluster of tiny, yellow blisters on a red, swollen section of skin. It is a viral condition, characterized by herpes simplex-1. This particular viral strain is responsible for the development of oral and genital cold sores. The truth about cold sores is often obscured and complicated by a wide variety of myths and fallacies. The most common of these is the confusion between cold sores, and apthous ulcers (better known as canker sores). For example, many people are inclined to believe that cold sores can appear inside the mouth. Not so. These types of lesions are canker sores, which only affect the soft, inner tissues of the mouth (like the gums and inner lips).Unlike cold sores, they are not contagious, and are the result of a variety of other factors unrelated to viruses. A fever blister will surface on the outer surfaces of the face, like the lips, chin and nose. After surfacing, it tends to crack and weep clear fluid. This is how HSV-1 spreads. Once one acquires the virus, the infection is permanent. However, a person can have HSV-1 without experiencing a single cold sore outbreak. This is because the virus tends to lie dormant in the nerve tissues of the body. It is usually triggered into activity by a wide range of external factors, such as stress or poor immunity. When this happens, it travels down the ganglia of the nervous system to the skin cells. Here, the virus emerges onto the skin. It’s relatively easy to recognize the start of a cold sore outbreak. Preceding symptoms include tingling sensations on the skin. Extreme cases of cold sores can also be precluded by swollen throat glands and mild fevers. Experts note that the tingling stage of a cold sore outbreak is the best time for treatment to start. Once the tingling subsides, the raised, red blister cluster starts to appear, which begins to weep and then crust over. This can be accompanied by irritating itching feelings in and around the affected area. 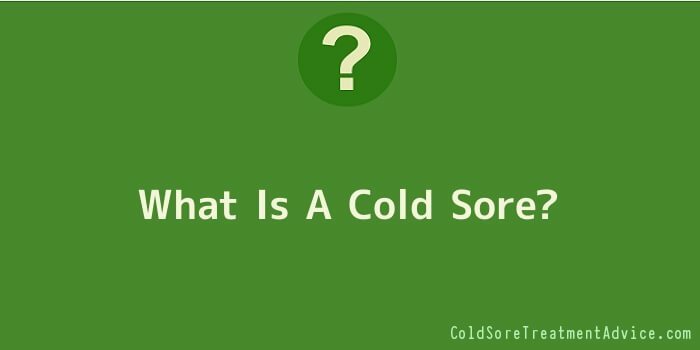 It is also the most painful stage of the cold sore experience, especially if it affects the corner of the mouth. Speaking, eating and smiling often cause the blisters to tear, resulting in acute pain and discomfort. The sore will eventually heal, and in most cases, fourteen days is the expected length of an outbreak. It is important to note that even after healing, the sore is still contagious and measures need to be followed to ensure that others don’t catch HSV-1. Indeed, any physical contact with others, such as kissing, should be avoided at all costs (in fact, most people acquire HSV-1 as children through affectionate contact with their parents). It’s important to refrain from sharing food, eating utensils, face towels and handkerchiefs, especially during the highly contagious weeping stage. There are a myriad ways in which cold sores can be prevented. The upkeep of an effective immune system through diet, exercise and rest is one such strategy. Cold sore remedies also inhabit the kitchen cupboard. People have benefited from whole milk, garlic and table salt in accelerating the healing process. Moreover, there are many over-the-counter treatments that can be purchase for the specific purpose of cold sore recovery.